Here's your chance to wow the crowd and perform on the Elks Park and festival main stages! Compete with other amateurs for fabulous prizes at the 2019 Telluride Bluegrass Festival. The first round of the band contest is held in Elks Park. Finalists perform on the main stage. 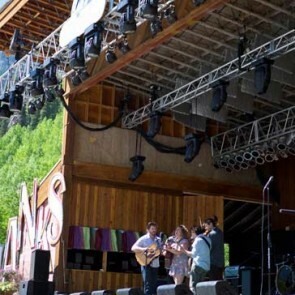 The band contest winner earns a spot on the 2020 Telluride Bluegrass Festival lineup.